In fact, the 15-year-old is already there, with four National Championships and her eye on the Olympics. SAN ANTONIO — They call her the Texas Tornado. 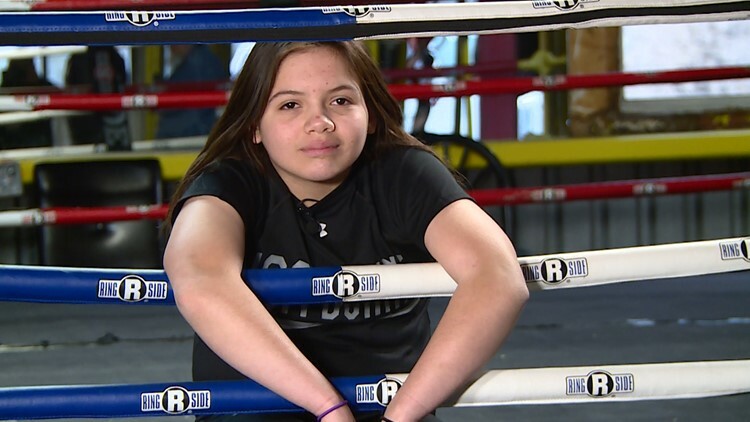 Fighting at 114 pounds, 15-year-old Reina Tellez defended her No. 1 ranking in the United States after winning back-to-back Junior Olympics titles. Those are just two of the seemingly endless accolades for the up-and-coming star. "Honestly, I don't really know (how many championships I have). I don't keep count," Reina said. "I just know it's multiple." Multiple might be a bit modest. If she wanted to, she could cover the boxing canvass in championship belts and jackets. "I did a lot of sacrificing and I train hard. At the end of the day it pays off, so when I look at them I can see I can do so much more," Reina said. The four-time National Champion has an insatiable desire to be the best. "If I believe in something and I want to do it, I'm going to do it," said Reina, who boxes every single day. She first picked up the mitts at 8 years old growing up in Vero Beach, Florida. It was there she met boxing trainer Arturo Ramos. "With me in Florida, I can tell she had that drive, that thing you just know. It's hard to explain," Ramos said. "You got speed, power, reaction, reflexes, everything. From A to Z she has it." Gabriela Tellez is Reina's 12-year-old sister. She recently won her first National championship and is hoping to join her sister in the 2024 Olympics. Tellez thrived under Ramos's tutelage, but her head trainer would soon move home to San Antonio. That left Reina's mother, Shalana, in a predicament. "The level of experience coach has for amateur boxers and his background of boxing was just something we weren't really able to find," Shalana said. Reina missed her old trainer. So, Shalana sent her daughter to San Antonio to get some work in. "I came back home and told my parents I don't want to box anymore if it's not with him," Reina said. "If it's me just relocating for my kids to be successful I was prepared to do it," Shalana added. The Tellez family moved to the Alamo City four years ago and the Texas Tornado has been bruising bags ever since. "Yes, I'm sacrificing my childhood and giving everything up. But in the long run it's going to be well worth it," Reina said. Four years down, just five more years to go. "My main goal is the (2024) Olympics," she said, "and when I get my spot on the Olympic team that is something that will last a lifetime." 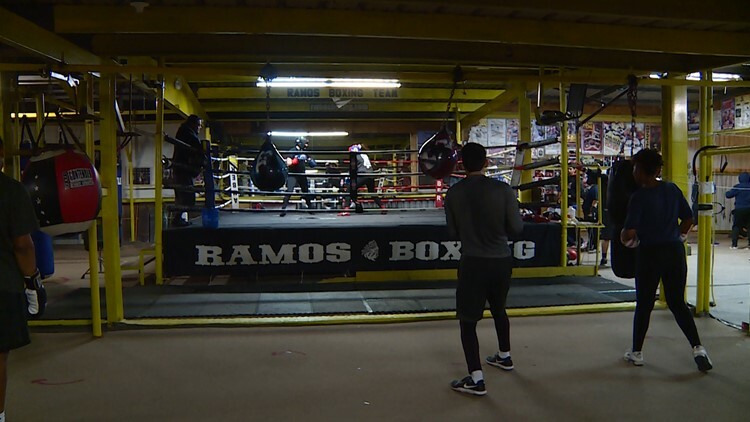 Competitors training inside the Ramos Boxing Gym.